The following meditation should take between 15 and 30 minutes. 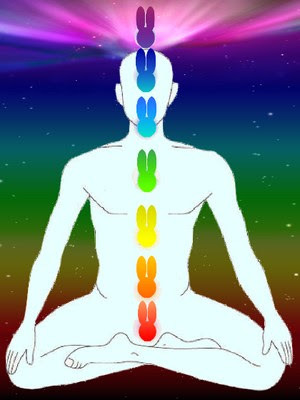 It is intended to strengthen, heal and balance all of the 7 major Chakra Bunnies in the human energy system. First, find a comfortable and quiet location. You can lie down or sit in any position that feels good. It may be helpful to play soft music or a nature sounds CD at a low volume, either with or without headphones. Some Fuzzies enjoy burning incense in the vicinity as well. 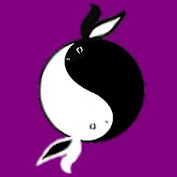 Important Note: This is for the finding of your true Lovebunny, in the instance you have not yet met. It is not for making a specific person you happen to have a crush on fall in love with you! That simply does not work anyway. If you are right for each other, both of you will know it. 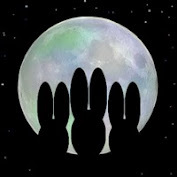 This meditation is for connecting with your best Bunnymate (who may be in another state or even another country at the moment) as soon as it can be arranged by the Cosmic Bunny. More coming in the next few months! Can't wait! 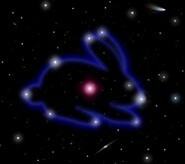 I totally believe in the Cosmic Bunny. Always have! 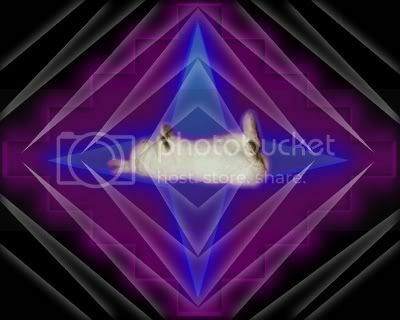 Peace! 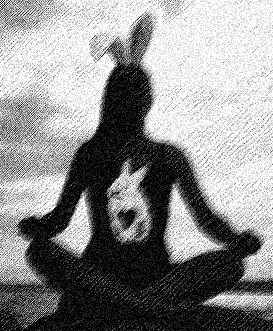 bunnies DO rule. . . . and you can do it i imagine my inner bunny floating inside calming everything down, i sit in nuetral pose (classic meditational pose) and instead of "ohm" its "buhn"
It is so very true, you can't keep a Good Bunny Down.... Rabbits Rule! When the leading nations of the world accept this & start to put Rabbits in all their strategic government positions we will start to see world peace. OMG!!! 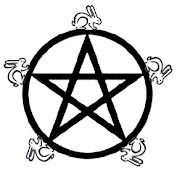 I can't believe I inadvertantly found this site, it must be my church since my e-mail has been 'cosmicbunny' for the last couple years! And I thought I came up with it myself! :-) Happy to meet you all!